QAR CODES is a simple yet powerful QR Code scanner for vehicles. Ever wanted to just walk into a dealership and browse cars using your phone? Gathering valuable information such as fuel economy, safety features, images, videos, reviews, and pricing without even talking to a sales person. Fret no more! QAR CODES is here! 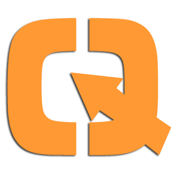 QAR CODES is completely FREE! There are no restrictions or annoying pop-up ads. Just Tap then Scan and you are instantly provided all of the vehicle and dealership information within seconds! If you Connect Using Facebook, you can easily store all of your vehicle scans and then look at them later on your home PC too! This also allows you to Like, Share and Add To Favorites in your QAR CODES Garage...now that's cool! The company behind QAR CODES is absolutely dedicated to your satisfaction and we love hearing feedback in order to make QAR Codes even better. If you encounter any issues with QAR CODES, please contact us at support@qarcodes.com so we can get to your issue as quickly as possible. Also, if you find car dealers in your area that need QAR CODES stickers on their inventory, let us know that too! * Scan any QAR CODES tagged vehicle. * View Videos of each vehicle you scan. * View Images of each vehicle you scan. * Compare vehicles quickly & easily. * Make An Offer on any vehicle instantly. * Find Nearby vehicles that match your selections. * Receive instant discounts from dealers.